This is a picture of the Abbey on Iona. 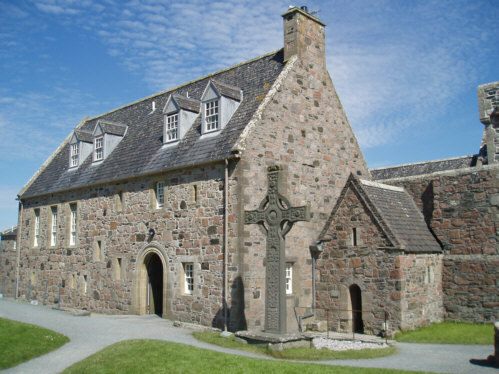 Iona Abbey was originally a medieval Benedictine foundation based on solitude. However, today, it welcomes up to 50 guests each week - as well as thousands of pilgrims every day during the summer months. The Island of Iona lies a mile off the western tip of Mull and most people reach it by first getting to Mull from Oban via the ferry to Craignure.